Accommodations at the Clear Air Mountain House include the concerts. 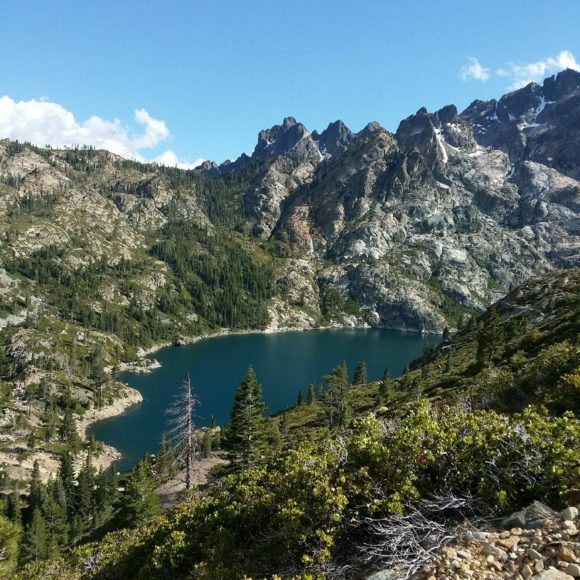 Enjoy music, breathing the clean air of the Sierras, hiking, healing, singing, and swimming in breathtakingly beautiful fresh mountain lakes and rivers. Sleep in comfy beds at night (unless you prefer to camp). This is, delightfully, a fragrance-free and smoke-free space (it’s also the home of a musician living with MCS). That means any scented beauty products will have to be left behind (we provide fragrance-free ones), and you’ll have to ensure that nothing you bring with you (or have on you) has allergens or fragrances. Please see https://eastbaymeditation.org/resources/fragrance-free-at-ebmc/ for info on what that means. Briget Boyle is a veteran Bay Area songwriter and guitarist who incorporates the flavors of Eastern Europe into deeply personal, driving melodies and rhythms. We hope you will join us to walk among wildflowers, breathe in waterfalls, swim in the Yuba River & clear mountain lakes, and enjoy live music. For more info about joining please email irinarivkin@yahoo.com and/or collaborate@clearair-mountainhouse.com. Sunday: song-circle/sing-along, plus swimming in the Yuba River! Unfortunately, this fragrance-free home is not yet wheelchair accessible, but we’d love to barter with a skilled tradesperson who’d make it so in exchange for lodging. Hope to sing, dance, swim, stargaze, and laugh with you soon!